Mac already released several eye shadows from their Mineralize line. 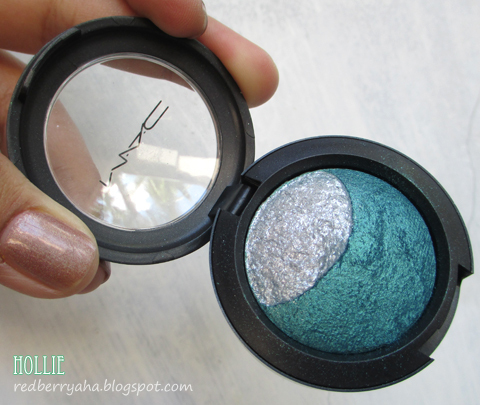 The Mac Mineralize Eye Shadow in Blue Sorcery was from the Magic, Mirth & Mischief Collection. Blue Sorcery is a really pretty green based teal. I love how intense the shade is yet still very wearable. I've used this a couple of times this summer and it is simply stunning. 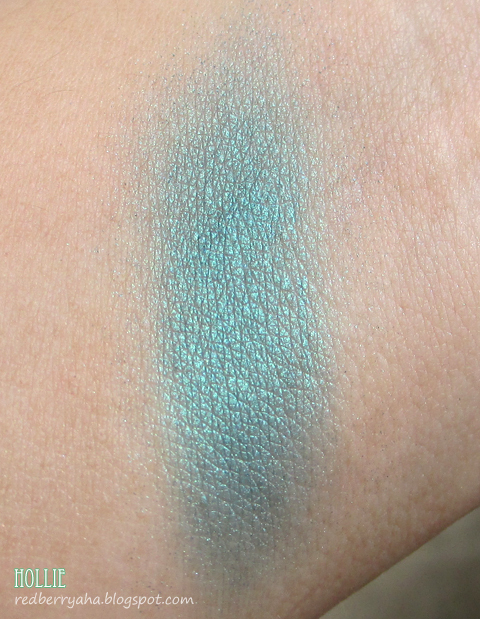 I also like how soft and subtle the shimmer is on this shade. This Mac Mineralize Eyeshadow is matched with a crescent glittery silver shade. There are 5 other shades in this collection which is also paired with another glitter shade. I've played with the silver shade but it's just too gritty and weird looking. I wish Mac made both shades with the same texture as the main color. The pigmentation is amazing. It does not have to be applied wet in order to get a decent color payoff. Mac's Blue Sorcery is actually one of the most unique shades I have in my collection. so jelly! Would love to wear that color! 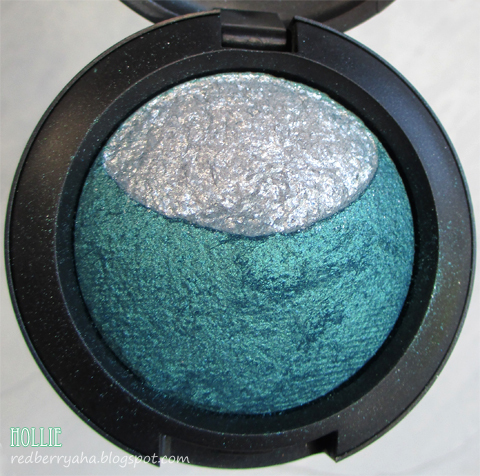 hollie omg this color is so so beautiful. and you have pretty eyes. 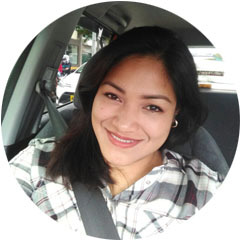 do you make youtube tutorials?